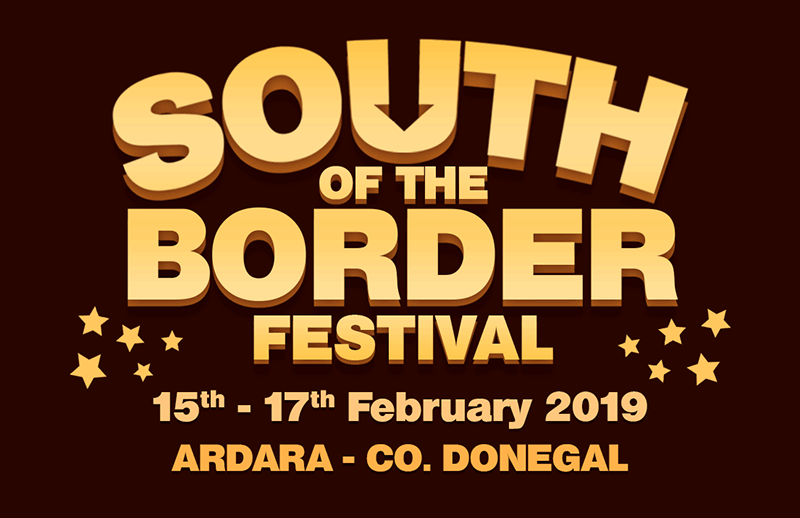 This weekend the popular “South of the Border” Festival takes place from Friday 15th to Sun 17th February. Friday night has an evening of Storytelling by the popular Patsy O Hagan along with Frank Galligan, Noel Slevin and local storyteller Charlie Boyle. After the stories there will be a feast of traditional music in the Beehive. Saturday afternoon Bri Carr will host an afternoon for young people interested in the art of Recitation and Storytelling at 3pm in the Nesbitt Arms Hotel. Saturday night at 8pm in the Nesbitt Arms Hotel, the popular Jimmy Kennedy Concert takes place. Here, the best of local talent will trace the music of Tin Pan Alley and the Jimmy Kennedy contribution. This is a Concert not to be missed. Afterwards, the memory of the great Packie Manus Byrne will be acknowledged in the Beehive with songs and stories of the great man as we celebrate his birthday. Sunday afternoon the Jimmy Kennedy Song Contest takes place in the Nesbitt Arms Hotel at 3pm. This year the entries to the Contest have been superb and this promises to be a great contest, really coming of age as we hear and acknowledge contributions from all parts of Ireland. 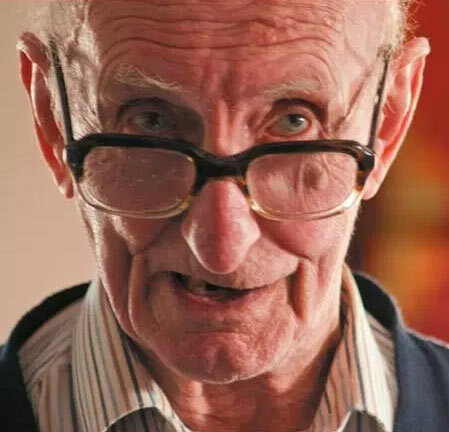 A television company working for the BBC is doing a film on Jimmy Kennedy and will be in Ardara to record the weekend’s event to be televised later in the year. This Friday night Ardara welcomes a host of great story tellers at 9pm in the Corner House, followed by a great session of traditional Music in the Beehive. Saturday night in the Beehive, the songs and stories of this great man will be acknowledged as we remember Packie Manus on the occasion of his birthday. A great selection of musicians and storytellers will be in the Beehive for this special occasion. The Jimmy Kennedy Concert takes place in the Nesbitt Arms Hotel at 8pm on Saturday night. Come along and enjoy the music of Jimmy Kennedy and Tin Pan Alley with the best local talent around. This year a huge entry of songs have been submitted for this Song Contest, with a difficult job ahead for judges to make a decision on who will win the €1000 first prize. The Song Contest Final concert takes place in the Nesbitt Arms Hotel at 3pm on Sunday. Everyone welcome to this special event. Visit our South of the Border page for full Programme of Events. Ardara Community Childcare are hosting an open day at the Creche on Saturday 2nd March from 12-3pm. If you are considering availing of our facilities in September please come along, meet the staff and view the service. We will be happy to answer any questions you may have, we look forward to meeting with you. alternatively, call us on 0879690036 or 0749537744. The Oliver Boyle Memorial 25 Card Drive took place in the Corner House Bar on Sunday night last and was a huge success with all funds raised going to a great local committee, the Ardara Care of the Aged. Thanks to all those who supported the event. The winners were Anthony Molloy and Frankie Cassidy with runners up Francis Quinn and Paul Cassidy. Parents wishing to enrol their child next September for the 2019/20 school year are asked to contact the school for an enrolment form. The school can be contacted on 074 9541279. St. Patrick’s Parade takes place on Monday 18th March. Anyone interested in putting in floats or bands are so welcome. Contact 087 2023033 or 087 2424590 more more information and to book bands or floats. 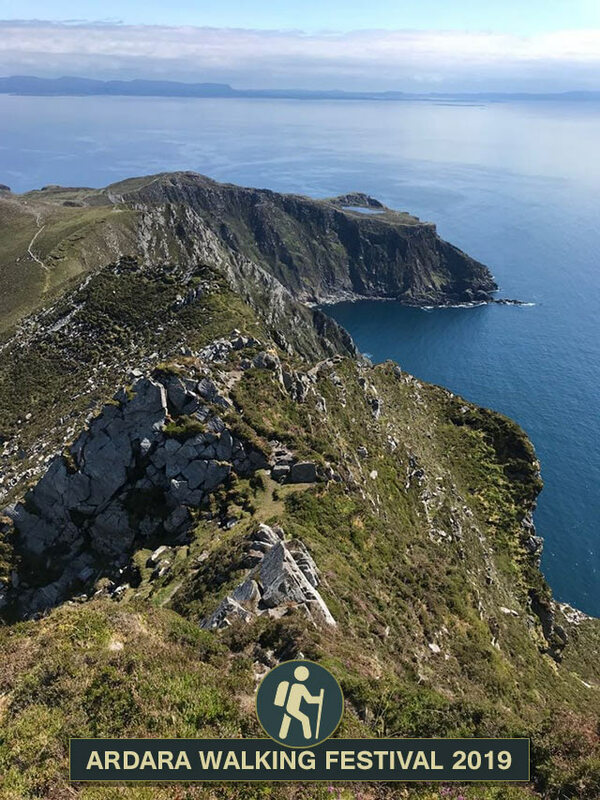 Ardara’s renowned Walking Festival, featuring a variety of spectacular guided walks, takes place St. Patrick’s weekend Friday 15th March – Monday 18th March 2019. Registration: Friday 15th March 6pm-9pm in the Heritage Centre. Visit the Walking Festival page for more information, or stay up to date with the latest news on the Facebook page. The sympathy of the community this week goes to the Maloney Family, Maghera, on the death of Charlie Maloney in Co Meath, the Maloney Family, Cloughboy on the death of Carmel, the Gallagher family Glengesh on the death of Peggy Clancy in Frosses and Gabriel O Donnell on the death of his niece Grainne Gallagher in Kilcar.